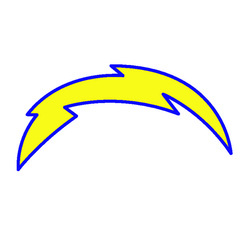 The Chargers had another disappointing season. It should come as no surprise, since were kept on for this year Norv Turner and GM A.J. Smith. This inept duo has now been fired, but it was a year too late. It is hard to know what the future of this team holds. The Chargers are normally paraded about as a team with a talented roster that often underachieves, but this roster hasn’t been an upper echelon group in several years. Some of their great players are no loner here, or in a steep decline. It is most troublesome that Philip Rivers may now fit in the latter category. He has not looked good the past two years and his physical skills may be in decline. He also struggled under immense pressure this year because his line couldn’t protect him. If Rivers can get back on track this team could see a quick turnaround, but if not, this is a long rebuild that is several years away. Either way, San Diego has some work to do on both sides of the ball this offseason. Offensive Lineman: Their tackles are a complete embarrassment. Jared Gaither predictably flopped after getting a new contract, while Jeromy Clary somehow got another chance to show how inept he is at right tackle. The new general manger needs to upgrade both tackle spots. On the interior, Louis Vasquez and Tyrone Greene played well, particularly Vasquez who is their best lineman. But both are free agents and the Chargers should look to bring both back. Cornerbacks: The Chargers have both of their starting corners up for free agency this year. Even with those two they needed to bring in some upgrades. Quentin Jammer could be brought back for one more year, but he is 34 and cannot be counted on. Bringing in at least three new corners probably needs to happen. Running Back: Ryan Mathews presents a series of problems. He is injury prone, and also has not lived up to his billing as the twelfth pick in the draft. He broke his collarbone twice last season, and I didn’t even think that was possible. He is embarrassingly not durable and the Chargers need to bring in someone who can at least spell him. A bell cow running back would be good to split carries with Mathews and to be the primary back when he inevitably goes down. Tight End: Antonio Gates looks like he is done. He cannot seprate from linebackers or safeties anymore. They will probably have to start him another year, but they have to be thinking about a plan B soon. Gates injuries have sapped him of his speed and explosiveness. Wide Receiver: Danario Alexander was incredible when he joined the Chargers midseason. However, he was available because he also has chronic injury problems. Can he be counted on? Probably not, but he should return to the team next year. Either way, Malcom Floyd is decidedly average and Robert Meachem is no good. Some new blood is needed here.